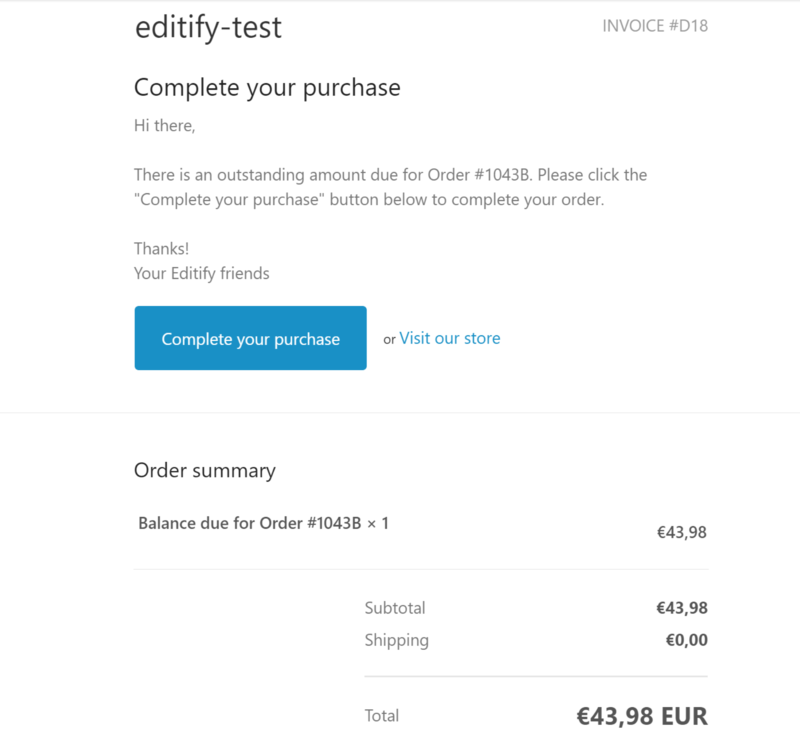 The image above is what the email looks like. 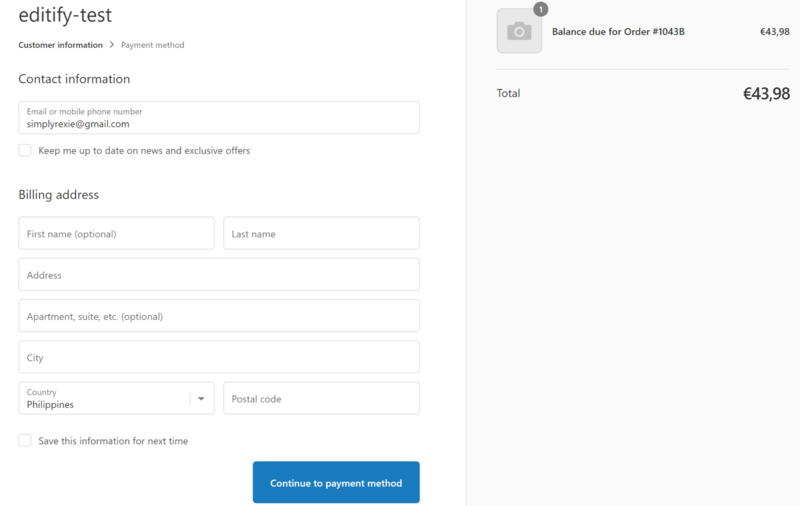 If the customer clicks the Complete your purchase button, he will be redirected to the page where he needs to confirm/update his account information and proceed to the payment method. He will then be redirected to the page where he can enter his credit card information to complete the payment. 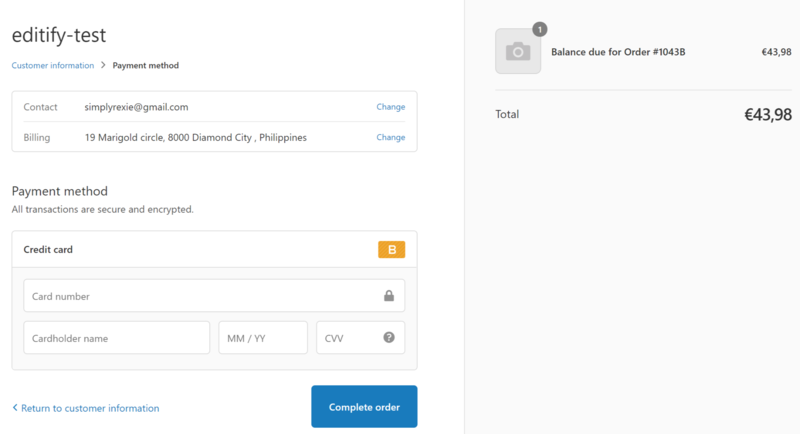 As soon as the form is completely filled out, he should click the Complete order button. He will then receive the confirmation for his order.